This green oasis, situated between Antibes and Cannes, is in the Golfe Juan Beach Resort, with marinas and fine-sand beaches.The apartments of this residence (FCA140 = studio cabin 4 persons. This green oasis, situated between Antibes and Cannes, is in the Golfe Juan Beach Resort, with marinas and fine-sand beaches.The apartments of this residence (FCA140 = studio cabin 4 persons, FCA141 = 2 Rooms 4 persons and FCA142 = 2/3 rooms 6 persons) are distributed in a main building of 5 floors (2 elevators) and 6 buildings of 2 floors (without elevator). At your disposal: swimming pool and paddling pool, unheated and open from April to October depending on weather. You can also book in advance a location in the underground garage (limited spaces): EUR 28 and EUR 38 in high season (or free outdoor parking nearby). Wifi in the accommodation = 20 € / wk In addition: tennis, billiards, table football, deckchairs, fitness area, laundry and wifi access at the reception. Small pets are allowed: EUR 50 / stay. Included services at FCA141: sheets and towels. Air conditioner or fan rental possible. The types of sleeping arrangements can vary from one dwelling to another. The agent has rated it as a three star property so it is a well-kept apartment, equipped with standard furniture. It is also good value for money. This apartment has use of a shared pool and is located in Les Paluds-Lauvert, only 6km from Cannes. 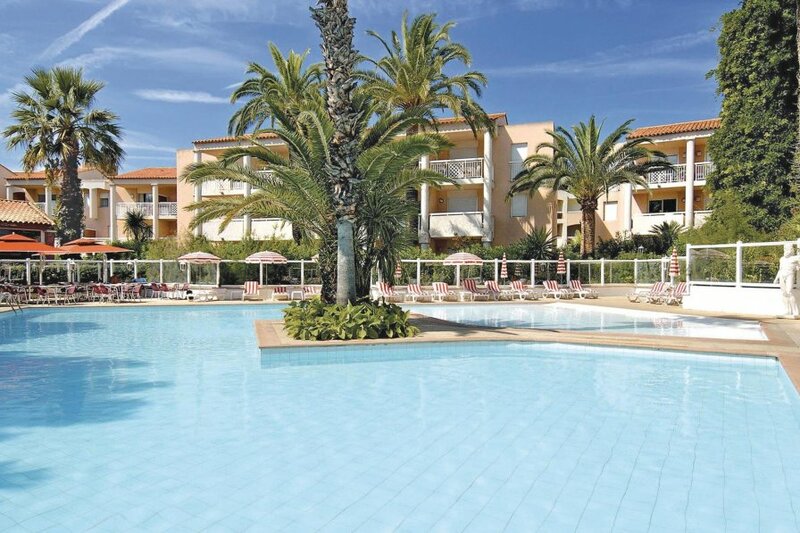 It is set in a very convenient location, just 300 metres away from a sandy beach. There's also a restaurant only 400 metres away. You can also park on-site at no extra charge. The apartment is adequately equipped: it has a refrigerator and microwave with oven. It also has some garden furniture outside.